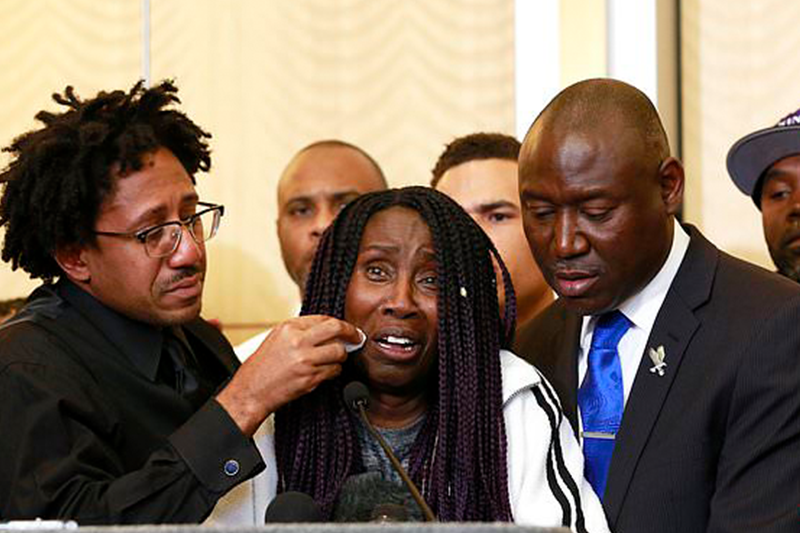 The grandmother of an unarmed black man who was fatally shot 20 times by police, wailed at a press conference Monday asking why the cops used such brutal force against him. ‘They didn’t have to kill him like that. 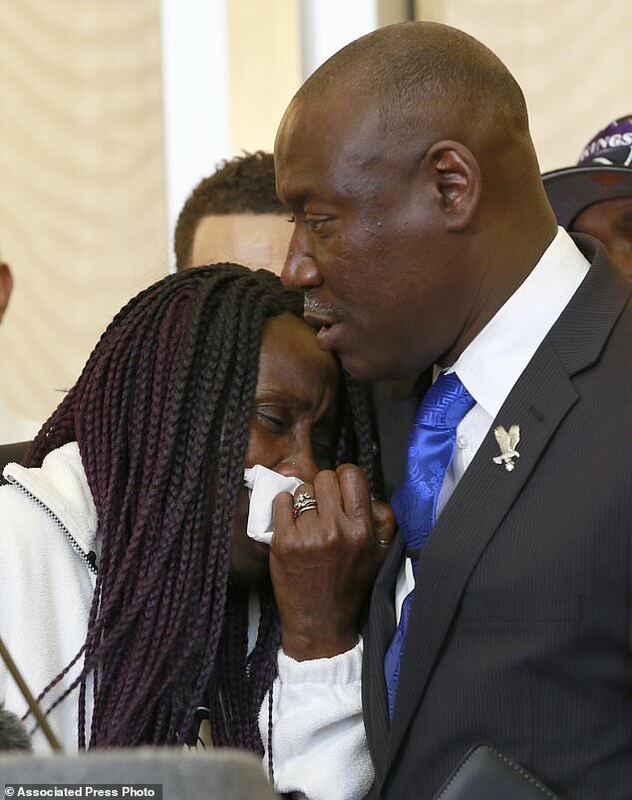 They didn’t have to shoot him that many times,’ Sequita Thompson said through her tears. Stephon Alonzo ‘Zoe’ Clark, 22, was chased by two Sacramento, California police officers into his grandparent’s backyard on March 18. It was there he was riddled with bullets as officers yelled at him to put his hands up. The horrific incident was caught on the officers’ bodycam footage after police received a call about a man breaking car windows in the area. Police believed that Clark was armed. He was found with just a cellphone besides him. Thompson spoke before a reporters on Monday, demanding justice for her grandson who died in the attack last Sunday after 9pm. ‘Why didn’t they shoot him in the arm, shoot him in the leg, send a dog, send a taser? Why? Why,’ she said. ‘Now my great-grandbabies don’t have their daddy,’ she added. He leaves behind two children ages one and three, according to NY Daily News. ‘I want justice for Stephon Clark. Please, give us justice!’ she said. Thompson described the harrowing sound of gunshots and recalled for the crowd how she dropped to the floor with her seven-year-old granddaughter and crawled to safety, according to CBS News. Present at the press conference was civil rights attorney Ben Crump, who will represent the family. He has also represented the families of Trayvon Martin, Michael Brown and Tamir Rice. ‘People who committed a mass shooting in Florida were not shot once, but a young black man holding a cellphone is shot 20 times. The young man who was bombing homes in Austin, Texas, the police followed him for hours. He wasn’t shot once, but an unarmed black man holding the cellphone is shot 20 times,’ Crump said at the conference.